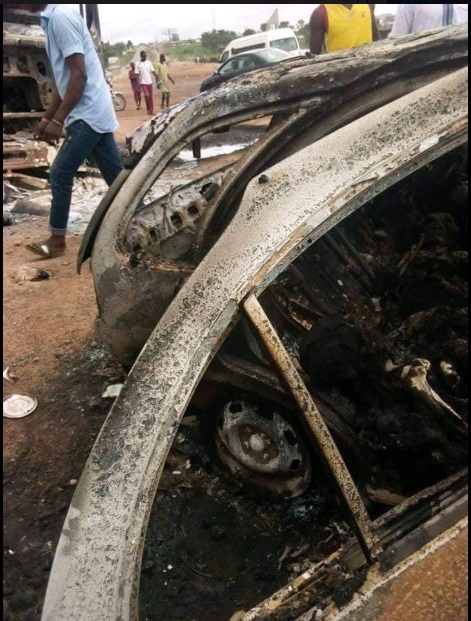 At least three persons were burnt to death in a ghastly motor accident that occurred along Abuja-Lokojo Highway on Thursday. A House of Representatives aspirant for Etsako Federal Constituency, Edo State, Dr. 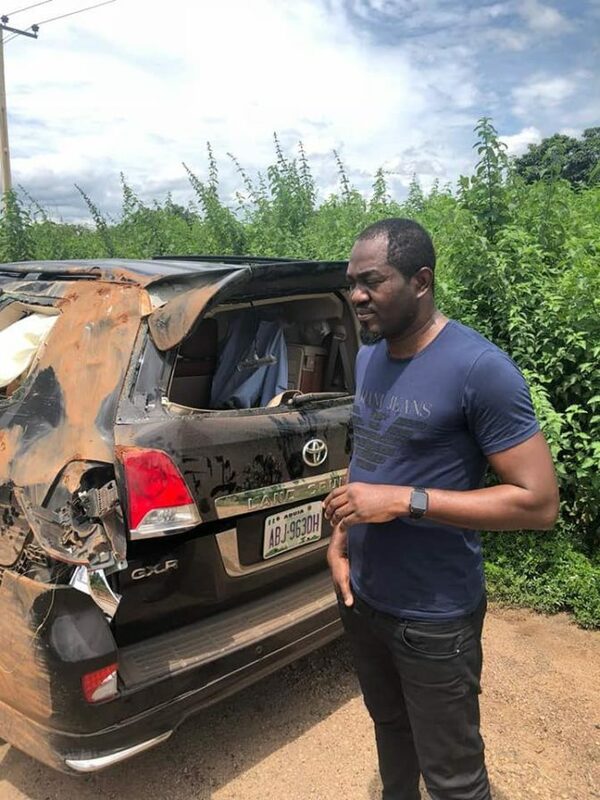 Blessing Agbomhere, praised God after narrowly escaping the incident. It was reported that that three persons were burnt to death with their vehicles while five others sustained severe injuries in the accident. Narrating his ordeal, the former deputy-director of Buhari Support Organizations (BSO), Dr. 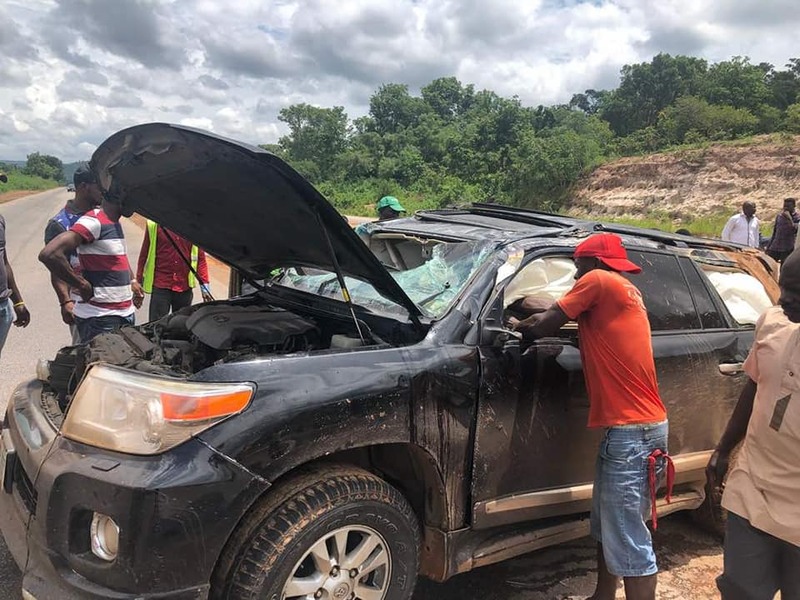 Blessing Agbomhere, said the accident was caused by the dilapidated road coupled with the reckless driving of a Scania Truck and Mack Tanker, both trying to overtake each other. “I am so grateful to God almighty for sparing my life after my vehicle somersaulted thrice. 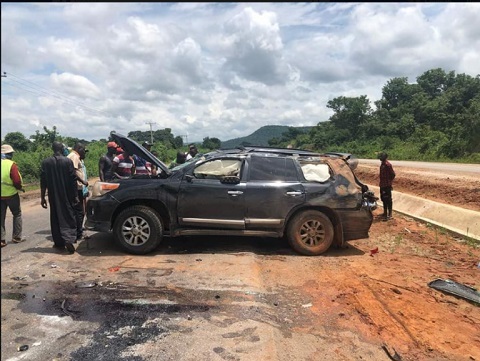 By just viewing the pictures to see the badly damaged Land Cruiser Jeep alone, you will agree with me that God did wonders. “I was on holiday to my hometown to celebrate Salah with my people, while returning back to Abuja, this happened”. Dr. Agbomhere, appealed to family, friends and teeming supporters to remain calm as he is presently responding to treatment in an undisclosed hospital.